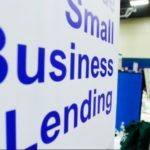 Lending Loop differs from other marketplace lenders in Canada in that they are the first P2P platform to offer term debt solutions to small businesses. Consumer lenders, or individual investors, are an important part of Lending Loop’s model, as they can access simple and attractive returns by supporting the growth of local Canadian businesses. The company has recently soft-launched their platform after beta testing and is already receiving a growing number of live loan applications on its marketplace. 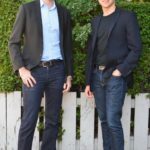 Lending Loop is set to fully launch its marketplace later this month in September allowing individual investors to fund business loan applications through an all-or-nothing type crowdfunding model. 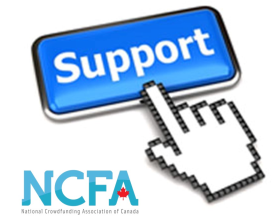 NCFA: When did you conceive of the Lending Loop idea? Lending Loop: Both of us (Cato and Brandon) were raised in entrepreneurial families and witnessed the difficulty of dealing with the bank first hand. We knew there had to be a better way to serve small businesses, so we looked to how the problem was being solved in other parts of the world. The model of peer-to-peer lending is incredibly appealing, as it not only solves the problem for small businesses; it also allows the individuals who support them to thrive alongside them. In terms of borrowers, our customers are business owners who are frustrated with the traditional banking experience, who spend an average of 32 hours working on their loan application! We’ve designed a process that allows small businesses to apply in under 30 minutes from the comfort of their office and get funded within a matter of weeks, not months. The majority of our initial lenders will likely be early adopters who have an appetite for moderate risk, are looking to support small businesses and are interested in a new class of fixed income returns. Of course, this means they will need a basic level of financial sophistication but we have designed our marketplace to be accessible to anyone who wants to support small business. Lending Loop is built around the values of community and helping small businesses across the country. How is Lending Loop different from some of the other P2P lending models? As a whole, Lending Loop is quite different than the other “P2P” lenders that exist in Canada today. When we started Lending Loop, we really took the words peer-to-peer to heart and it has been our unwavering objective to bring a model that allows all Canadians to get involved in the future of small business lending. Most of the P2P lenders that exist in Canada are commonly referred to as marketplace lenders. This is because these platforms leverage institutional capital (banks, family offices, investment funds) to fund their loans. Lending Loop allows any individual to lend as little as $50 to a single business as we believe the P2P model can only really thrive with widespread involvement. Are the loans securitized by anything? Yes! Every loan that is listed on our platform provides at least 1 form of security. We have mandated this in order to protect the best interests of the lenders. The form of security is dependent on the loan and is displayed to the lenders on our marketplace. Why do you think the size of the marketplace lending industry globally is far larger than the equity crowdfunding industry? The market for P2P lending is much larger than the equity crowdfunding industry for a variety of reasons. Banks in most markets have failed to innovate and improve their customer experience when it comes to issuing loans to their customers. This created an opportunity for P2P lenders to introduce new technology and offer a superior user experience to both lenders and borrowers. P2P lending has also penetrated mainstream consumers more than equity crowdfunding because of the fixed income stream that is offered by both consumer and business loans. Equity crowdfunding has been slower to gain mass adoption because of the high risk nature of investing in an early stage company with little or no cash flow. While we do believe that there is a place for equity crowdfunding, the model of lending to established businesses is significantly more stable and transparent. With any investment, there is always risk involved, but lending to an established small business greatly improves transparency and that is why we believe it’s the next logical evolution of finance in Canada. What requirements do businesses have to meet in order to qualify for your loans? We encourage businesses of all different types from across Canada to apply for a loan through our platform. At a minimum, these businesses must be incorporated, have been operating for at least 2 years and be currently generating greater than $200,000 in annual revenue. Beyond these basic requirements, we leverage various data inputs in order to evaluate whether the business has the capacity to repay their loan. Our philosophy at Lending Loop is that if you operate a healthy business with a positive financial outlook, you should have no issues getting financing. What are your interest rates like? Our interest rates are fixed over the term of the loan and range from 6% to 15.5% annually, which is considerably lower than what the majority of alternative lenders charge. Lending Loop’s interest rates are designed to work for both the borrowers and the lenders: businesses pay a fair rate while lenders can access an attractive fixed income return while supporting the growth of small business. How fast is your loan approval process compared to banks and traditional financial institutions? Lending Loop brings convenience to business borrowing by offering an entirely online application that can be completed from the comfort of your desk in under 30 minutes. We approve almost all creditworthy loan applications in under 4 business days. How is your marketplace similar or different from other crowdfunding marketplaces? The Lending Loop marketplace is where approved loan requests are displayed to lenders. Lenders are able to browse through the loan requests and view granular information about the businesses listed, including general business information, consolidated financial statements, and a Q&A mechanism for lenders to engage with the businesses. 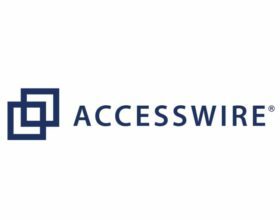 In terms of content, our marketplace is quite similar to what you would expect to see from a crowdfunding marketplace, with an added emphasis on the businesses’ track record and financials. How do individual investors participate in the loans? If the campaign is unsuccessful or doesn’t reach its target, do I still get the loan? Unlike other marketplace lenders in Canada, every loan request on Lending Loop is funded by individual investors. The business must receive 100% of what they are asking for before their listing expires on the marketplace or they do not get funded, so in that regard it is very similar to Kickstarter’s all or nothing funding model. As a lender, what are the main advantages of investing my money with Lending Loop vs. a bank or other traditional financial institution? When you lend money through the Lending Loop platform, you have the opportunity to choose from a wide variety of businesses. The simple concept here is the more businesses you lend to, the more you are spreading your risk and the greater chance you have of earning a positive return. The being said, we always let our lenders know that these are small businesses so even though your loan may be guaranteed or secured, the nature of business lending means your investment can always go down as well as up. What we offer is significantly different than any bank or financial institution because we are giving choice and power back to the lender. The P2P model removes the financial intermediary who typically captures a large spread between the rate being charged to borrowers and the interest paid to savers. 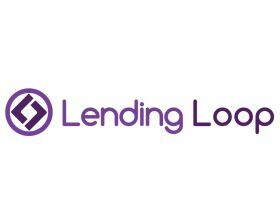 Lending Loop is reducing that spread and passing savings onto the borrower, and larger returns to the lender. All lenders will have the opportunity to earn significantly higher fixed income returns than they would through any conventional financial institution but as always, there is a risk-reward dynamic at play. Are there limits on how much money I can lend, or how many businesses I can lend to? No, there is no limit of the amount that you can lend or the businesses that you can lend to. However, we strongly recommend and promote the concept of diversification. This means spreading the total amount you are lending across as many businesses as possible to minimize your risk. Can I open a RRSP or Tax Free Savings Account for my Lending Loop loans? Unfortunately, lending through an RRSP or TFSA is not currently available; however, this is definitely something we would like to add in the future. We’re watching the success of peer-to-peer lending in other more established markets such as the UK and it seems like lending tax free through these types of platforms is really taking off. 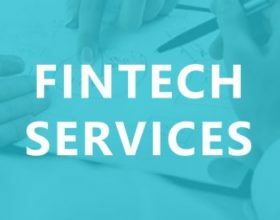 Unlike traditional financial institutions, this new breed of marketplace lenders have built their business models leveraging the latest financial technologies (fintech) in order to service niche markets, new customer groups (e.g. millennials) and underserviced markets. There is a lot of opportunity for these markets as long as entrants continue educating consumers about the alternatives to bank loans and offering them a superior product.